I got the call while in the Delta Sky Lounge at New York LaGuardia. A Senior Producer from CNN had heard about my book – shameless link to the Amazon pre-order page here – and wanted to talk to me on the topic of ‘mancations,’ which are basically guys’ weekends, time away from the wife and kids, from work and all the other stresses and tedium, obligations and routines of every day life. The irony was, of course, that I was on my way to just such a trip, a couple of days in Maine to meet a friend from L.L. Bean, do some fishing and shoot some clay pigeons. The timing, depending upon how you look at it, was serendipitous. Sure, I was technically working, but I was also in the right frame of mind. The interviewer, a guy named Wayne Drash, asked me some questions about why I thought it was important that men take time away and I did my best not to sound too much like a condescending know-it-all. 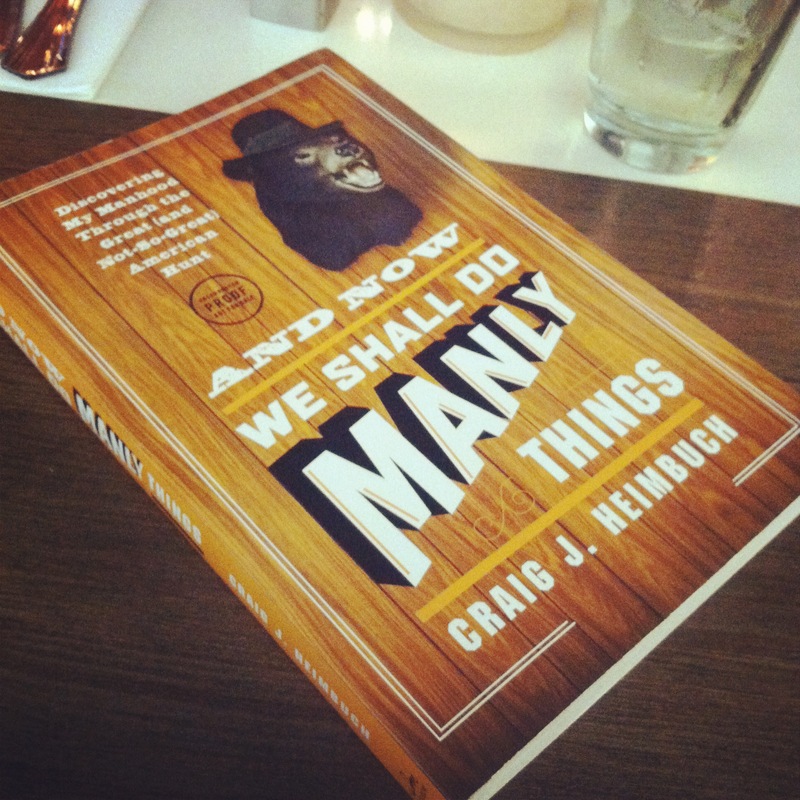 I guess I had never really thought of the book as having anything to do with a mancation, but the longer we spoke, the longer I paced the quiet room talking too loudly on my earbud microphone to the dismay of business travelers seeking solace in an awful place, the more it became clear. Mancations, a term that’s a bit too twee for my personal taste, aren’t really about cigars and beer and burping and scratching. They aren’t about escaping the nagging wife or needy kids, the jerk boss or the boring routine. They are about embracing the part of you that needs adventure, that little part that longs to set out into the world. These get aways with the guys are about a mutual understanding that we cannot, and cannot be expected to, be the men the people in our lives need us to be without being the men we need to be. I won’t say that I’m some sort of expert as it relates to the kind of travel, but I certainly understand that little voice in the back of my head that tells me to go. Just go. Come back soon, but respect the people in your life, the ones you love, enough to be the best version of you that you can be. If that means a mancation, so be it. Plan it, look forward to it, experience it and remember it. Give yourself something to look forward to, something to embrace, and you’ll be better for the people who need you to be the best.